Sorcery or glitch in the matrix? I first read about this in George Takei’s Twitter feed. Then I checked it on Snopes, and it is true. There really was a 1958 episode of a television Western (an episode titled The End of the World, of the series Trackdown), in which a character named Trump, a con artist, proposes to build an impenetrable wall to protect a town’s inhabitants. Snopes confirms: the episode is real. In fact, the full episode is available on YouTube. So I figured I’d try Office 2019. It came out a few months ago, and I have the MSDN license and everything, so why not give it a test drive. I downloaded the DVD installation image, and ran setup. What the devil does this mean? I am installing from a Microsoft-provided DVD image. Surely, it has all the required files? The “Go online…” link was of no use. Just some generic stuff about installation failures. 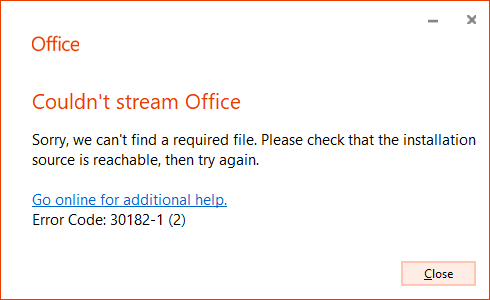 A quick online search, however, revealed the culprit: Office 2019 won’t install unless Office 2016 is removed first. In any case… in the software industry, 30 years ago already we had installers that gracefully recognized an existing installation of the same package, and offered either an upgrade or a side-by-side install. Or, worst case, they offered a meaningful error message, informing the hapless user that the prior version must be uninstalled first. Because, you know, chances are anyone installing Office 2019 might already have a copy of Office 2016 installed on their system? I guess none of that is needed in 2019. After all, what kind of a dumb user am I if I don’t immediately understand Error code 30182-1 (2)? 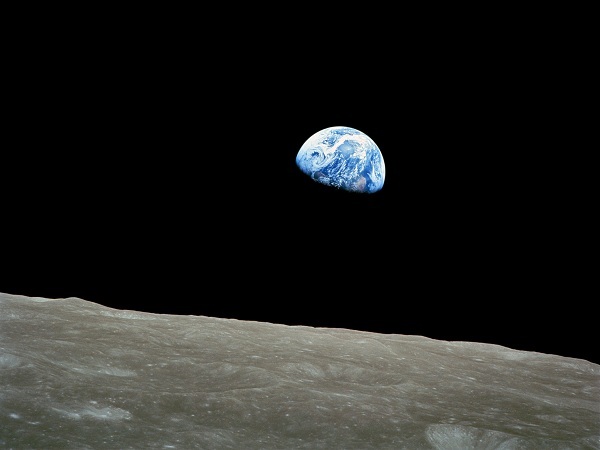 I almost forgot: a couple of months ago, I was interviewed over the telephone by a journalist who wanted to know my thoughts about one of my favorite moments in manned space exploration: The Apollo 8 “Genesis” moment, the reading of the opening verses of the Old Testament, on Christmas Day, 1968, by the astronauts of Apollo 8 as their spacecraft emerged from behind the Moon. Though shortened, this pretty accurately reflects what I actually said during that roughly 10-minute conversation with the journalist. Even as China was celebrating the first successful landing of a spacecraft on the far side of the Moon, NASA’s New Horizons continued to radio back data from its New Year’s Day encounter with Ultima Thule: a strange, “contact binary” asteroid in the Kuiper belt, far beyond Pluto. 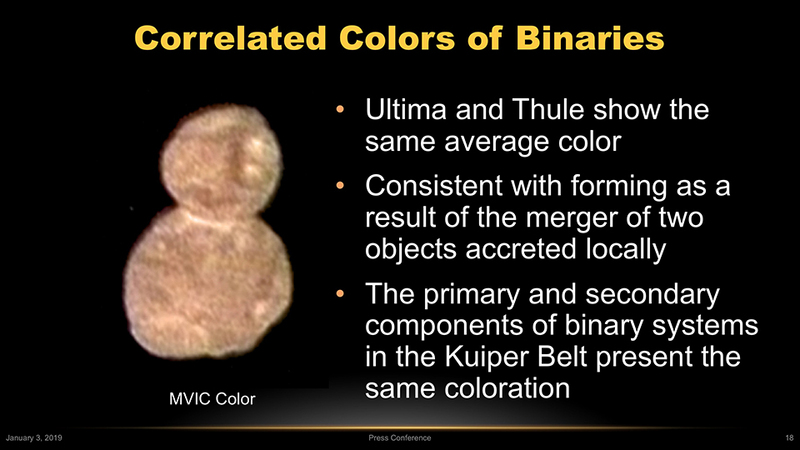 Ultima Thule will remain, for the foreseeable future, the most distant celestial object visited by spacecraft. While there is the odd chance that New Horizons may find another target within range (as determined by the on-board fuel available, which limits trajectory corrections, and the aging of its nuclear power source that provides electricity on board), chances are it won’t happen, and it won’t be until another deep space probe is launched, quite possibly decades from now, before we get a chance to see a world as distant as Ultima Thule. Another piece of news from the New Horizons project is that so far, the probe found no moon orbiting Ultima Thule. No Moon At All. OK, the far side of the Moon is not really dark, but it is kind of hard to see. 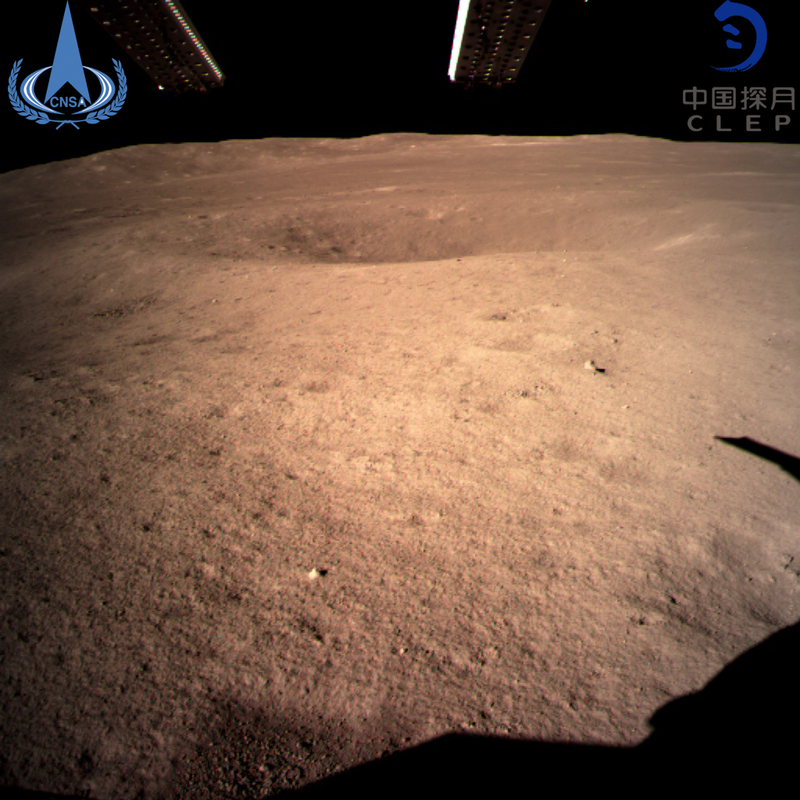 But now, from the department of unqualified good news: China successfully landed its spacecraft, Chang’e 4 (named after the Chinese Moon goddess), on the dark side of the Moon, and it has already sent us back some pictures. This is big. Really big. To make it happen, China first had to launch a lunar orbiter, Queqiao (“Magpie bridge”), in order to maintain communication with the lander. And being on the far side of the Moon, the lander is completely shielded from radio signals from the Earth, which means an unprecedented opportunity to study radio signals of extrasolar origin. Chang’e 4 also carried a rover, Yutu-2, which has since been deployed. By any reasonable measure, this is a huge success for China’s space program, and for humanity overall. Hopefully, both lander and rover will remain operational and able to fulfill their scientific objectives. 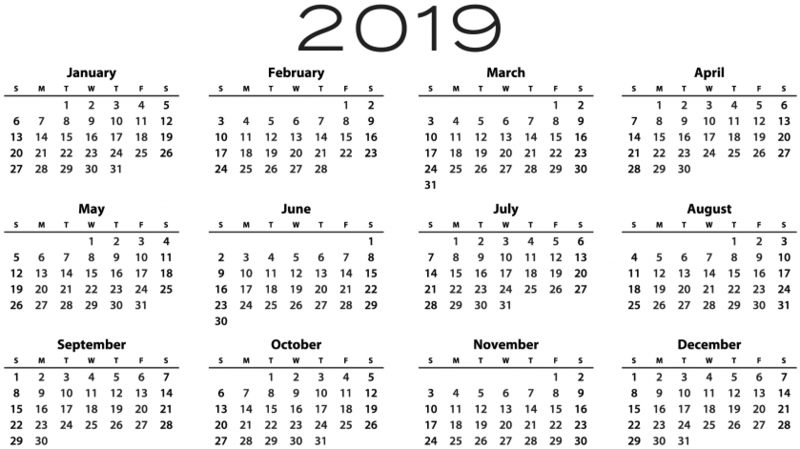 So here is what I expect from 2019. And last but not least, a bitter election campaign here in Canada, which will show to the world that this country, too, has its demons, in the form of nationalism, racism and xenophobia, and all all it takes is an unscrupulous populist or two to bring it all to the surface. There are probably a few more things that I could add to this list, but these are at least some of the reasons why thinking about 2019 fills me with a sense of foreboding. On a happier note, here is what I ask from Santa, come Christmas 2019: I want to be proven wrong on all of the above points. I desperately want to be wrong, foolishly wrong on all of the above points. Feel free to ridicule me on December 31 if none of my dire predictions come true. Nothing would make me happier. I explained that it is best viewed as a conversion factor between our units of length and time. These units are accidents of history. There is nothing fundamental in Nature about one ten millionth the distance from the poles to the equator of the Earth (the original definition of the meter) or about one 86,400th the length of the Earth’s mean solar day. These units are what they are, in part, because we learned to measure length and time long before we learned that they are aspects of the same thing, spacetime. And nothing stops us from using units such as light-seconds and seconds to measure space and time; in such units, the value of the speed of light would be just 1, and consequently, it could be dropped from equations altogether. This is precisely what theoretical physicists often do. But then… I commented that something very similar takes place in aviation, where different units are used to measure horizontal distance (nautical miles, nmi) and altitude (feet, ft). So if you were to calculate the kinetic energy of an airplane (measuring its speed in nmi/s) and its potential energy (measuring the altitude, as well as the gravitational acceleration, in ft) you would need the ft/nmi conversion factor of 6076.12, squared, to convert between the two resulting units of energy. 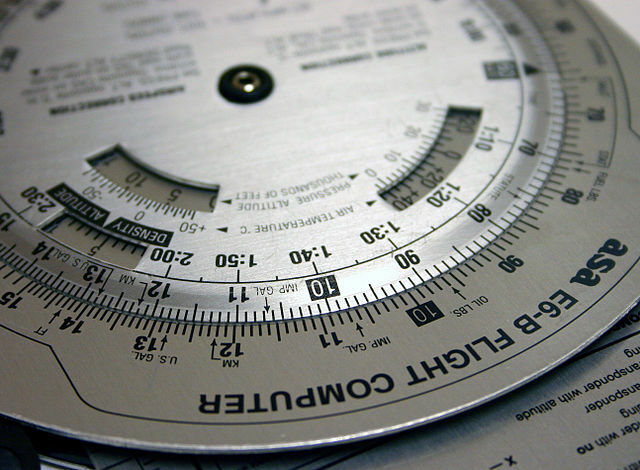 As I was writing this answer, though, I stumbled upon a blog entry that discussed the crazy, mixed up units of measure still in use worldwide in aviation. Furlongs per fortnight may pretty much be the only unit that is not used, as just about every other unit of measure pops up, confusing poor pilots everywhere: Meters, feet, kilometers, nautical miles, statute miles, kilograms, pounds, millibars, hectopascals, inches of mercury… you name it, it’s there. Yet another example similar to the metric system is the historical accident that created the employer-funded healthcare system in the United States that American continue to cling to, even as most (all?) other advanced industrial nations transitioned to something more modern, some variant of a single-payer universal healthcare system. It happened in the 1920s, when a Texas hospital managed to strike a deal with public school teachers in Dallas: For 50 cents a month, the hospital picked up the tab of their hospital visits. This arrangement became very popular during the Great Depression when hospitals lost patients who could not afford their hospital care anymore. The idea came to be known as Blue Cross. And that’s how the modern American healthcare system was born. As I was reading this chain of Web articles, taking me on a tour from Einstein’s \(E=mc^2\) to employer-funded healthcare in America, I was reminded of a 40-year old British TV series, Connections, created by science historian James Burke. Burke found similar, often uncanny connections between seemingly unrelated topics in history, particularly the history of science and technology. Master Rufus would like to wish a Happy New Year to all our family, friends, indeed all good people who stumble upon this blog post. 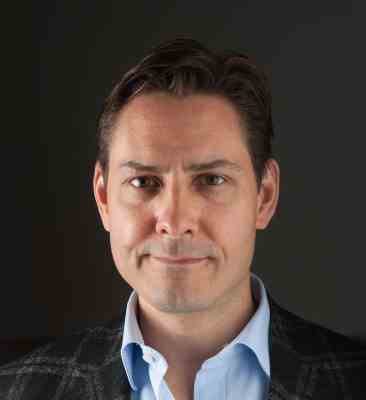 The news came a few days ago: Former Canadian diplomat Michael Kovrig has been arrested in China, in apparent retaliation for the arrest of Huawei’s CFO Meng Wanzhou in Vancouver. Michael WHAT, I asked? Kovrig? As in, K-O-V-R-I-G? You see, Kovrig is not at all a common surname. And it so happens that my stepfather’s last name is Kovrig. Not just that but… we know another Kovrig (no relation, none that we know anyway). My parents came to know this Kovrig as a result of a chance encounter, but ultimately, they helped him purchase an apartment in the same building where they live. So this Kovrig lives two floors above my Mom and my stepfather, in Budapest. And Michael Kovrig, former Canadian diplomat, is his nephew. A few years ago, I was about to be offered an opportunity to take part in a Chinese research effort. My participation would have involved access to data that Chinese authorities might have viewed as military secrets. I backed out for this very reason. The last thing I needed in my life was the possibility, however remote, that I would end up in Chinese custody, accused of espionage. Later, I was wondering if I simply made a fool of myself; Was there any real danger that I might get into trouble, or was I simply pretentious? Kovrig’s arrest is a wake-up call. This time, lightning struck uncomfortably close. Much as I regret not taking part in that very interesting and promising piece of research (and it would have been an honor to be invited) I am glad I backed out. I hope Kovrig is released soon. I hope his arrest helps others realize that beneath the spectacular economic growth and the undeniable successes, China is still fundamentally a communist police state, whose methods of choice are bullying and violence. Supposedly, at one year and two months, a kittycat is fully grown. But in case we mistook “fully grown” for “adult”, Freddy is here to remind us of our mistake. I think this picture illustrates my point well. Although he isn’t actually misbehaving at the moment the picture was snapped, you can see it in his eyes. Something is about to happen. Soon, there will be a cat where no cat should be, or there will be things flying that were supposed to sit, undisturbed, on tables or shelves. But this is why cats are so much fun. It all began with a short discussion after Kifli passed away. My wife was wondering if we’d ever find a pair of kittens like Kifli and Szürke. On a whim, I decided to check out the Ottawa Humane Society’s adoption site. They have had littermates available for adoption in the past. Not this time, though. 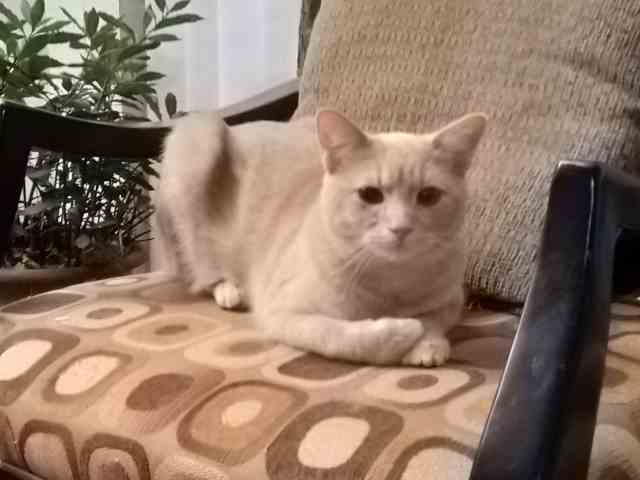 However, I did stumble across a photo of Freddy, a 14-month old fawn tabby not unlike Kifli. Silly, we said. 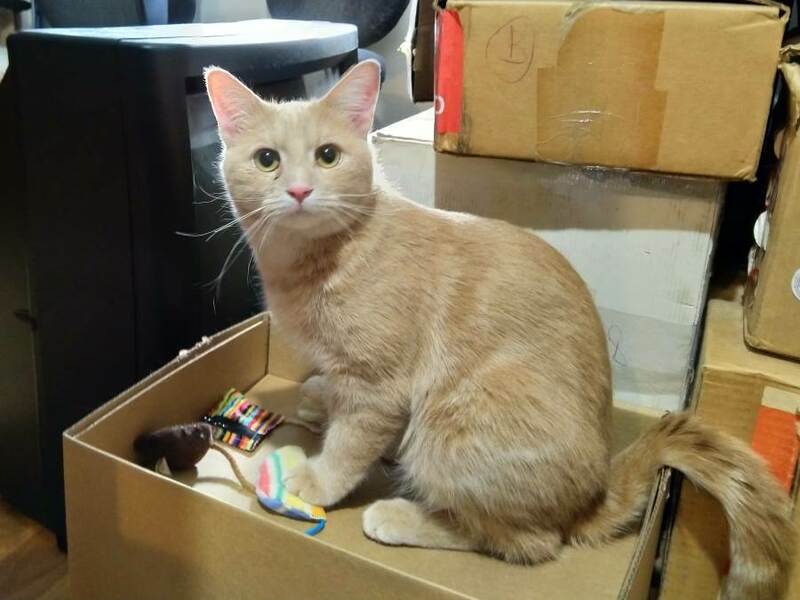 You should not be thinking about adopting a cat less than 24 hours after you lost one, we said. Nonetheless, we decided to check this cat out. And when he was out of his cage, first thing he did, he climbed onto my wife’s back, to perch there. 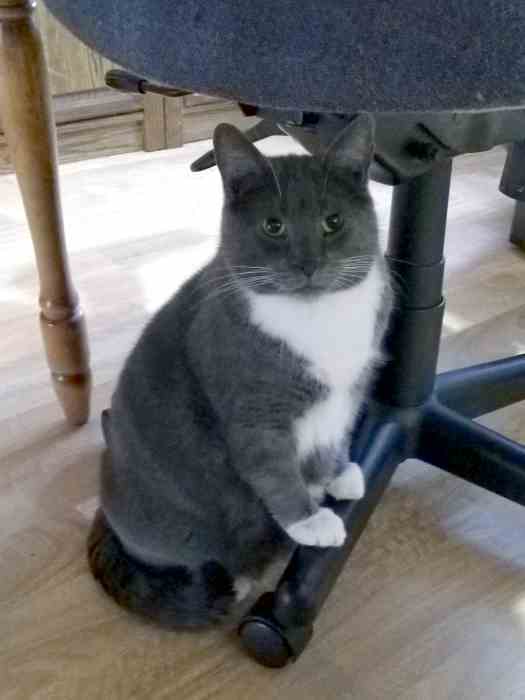 How can you say no to a cat like this? So world, this is Freddy. Freddy, say hello to everyone. And we’re back to being a two-cat household. While we still grieve over the loss of Kifli, instead of crying, we smile as we endure this new cat’s antics, while he is discovering the house. About a week ago, our seventeen-and-a-half year old cat Kifli lost his appetite and started to have a bit of a diarrhea. Nothing too concerning, but we decided to take him to the vet come Monday. 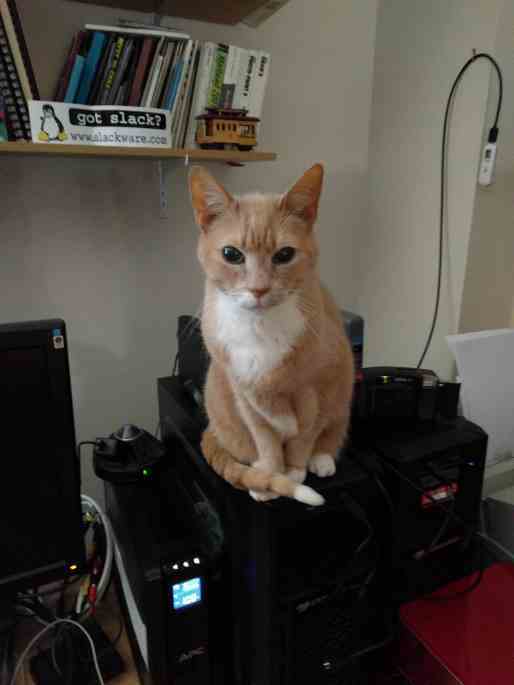 Kifli in happier times sitting on top of a server he should not have been sitting on. May 2018. But then, once the bloodwork came back on Tuesday, the vet told us that the symptoms were those of pancreatitis, quite possibly a result of lymphoma or some other form of cancer. 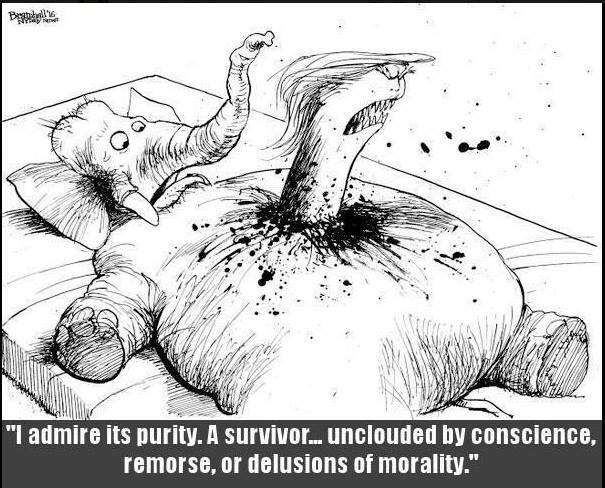 The prognosis was poor. An ultrasound exam was recommended. The ultrasound specialist was booked for Wednesday evening. By Wednesday morning, Kifli was doing a lot worse, so I called the vet and took Kifli there in the morning, to make sure he is under proper medical care. He received some fluids. 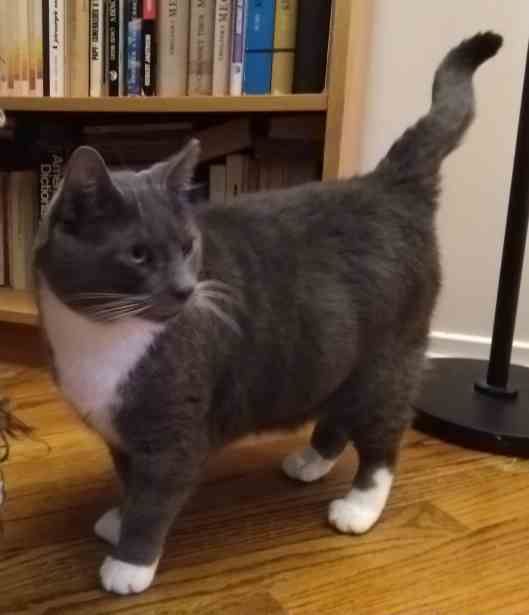 When I went to pick him up in the evening, his belly was shaved (for the ultrasound) and he was still very wobbly from the anesthesia. The vet, in fact, was concerned and recommended a stay at an overnight hospital nearby. However, when it became clear that the kitty may not live to see the morning, we opted to keep him home instead, closely monitoring him for signs of distress. 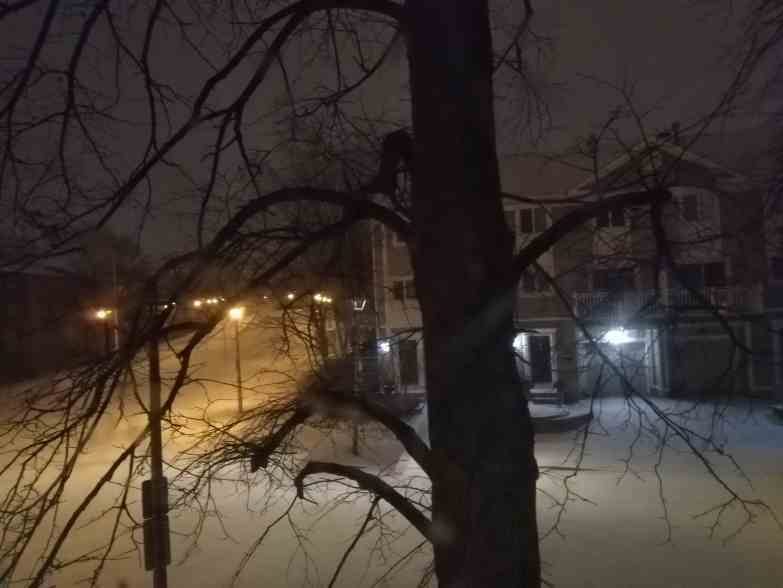 The night was uneventful. Kifli even seemed to recover a little. But in the morning, his condition was getting worse. But then, a ray of hope! A cytology result arrived late in the morning, and it showed that the likely cause was a massive bacterial infection, not cancer. So suddenly, instead of planning for euthanasia, we were discussing a treatment plan with the vet. An aggressive plan involving multiple medications and a feeding tube (and no guarantee of success) but… well, a very thin, anemic ray of hope, but a ray of hope nonetheless. So I took Kifli to the vet again, to get him prepared for the mild anesthesia required to insert the feeding tube. The call from the vet came much sooner than I expected. Not with good news. Kifli was collapsing. He already had a seizure, and he was now breathing pure oxygen, kept alive by a heated blanket as his heart rate and body temperature were dropping both. We knew what this meant. A final trip to the vet, from which we would come home with an empty cat carrier. As we made our way through an unusually heavy traffic jam (a combination of afternoon traffic and a road closure), the vet called us again. “What would you like me to do in case Kifli goes into cardiac arrest?” His condition was that bad. I asked the vet to use her best medical judgment. Kifli was barely alive when we got there, about ten minutes later. We had one final discussion with the vet and then agreed to the inevitable. My hand was on Kifli’s chest when he received the first injection. His little heart stopped instantly, without waiting for the second injection. It was truly his time. What I feel right now is unbearable heartbreak, but I know that soon enough, I’ll be able to smile again as I recall his antics. He was… quite a cat, that’s all I can say. I know, I know, it’s not for the weather that we love Canada. Still… plunging into winter in the middle of November? One hundred years ago today, at 11 AM Paris time (the eleventh hour of the eleventh day of the eleventh month), the War to End All Wars itself ended. We know what happened in the century that followed. Communism. Fascism. Totalitarianism. Another World War. The Holocaust. Invasion and civil war in China. Nuclear bombs dropped in anger. The Cold War. Korea. Colonial and post-colonial wars like Vietnam. Yet there is hope that we are becoming wiser. The world as a whole has been largely peaceful for 73 years. No more world wars, no more wars between major powers. Nuclear weapons, so far, proved to be peacemakers instead of annihilating civilization. More people live in peace, have their basic rights respected, have access to a basic education, safe drinking water, basic health care and sufficient nutrition than ever before. But… When I was in my 20s, politicians in power were all leaders who have seen war. Leaders who were less interested in winning wars than in avoiding them. Put the likes of Kennedy or Khrushchev, Nixon or Brezhnev, even Stalin in a room, and while they might have disagreed on just about everything, they would have agreed on this one. Not anymore. Our fearless leaders today have not experienced war. Therefore, they may no longer consider avoiding major war a supreme imperative. And when I listen to the rhetoric of Trump, Putin, even French President Macron when he speaks in favor of a joint European army, I realize that for these leaders, war is no longer something they fear, but rather, something they are confident they can win. Which is why it is especially important to celebrate November 11, 1918, for what it really is: The end of a nightmare. A nightmare in which even the victors weren’t truly victorious, as they all lost a lot and gained very little. A nightmare that ended decades of peace and prosperity and plunged the world into decades of darkness. For the peace that followed was an uneasy one: instead of a safer world, communism was born and the seeds of fascism were sown in 1917-18. 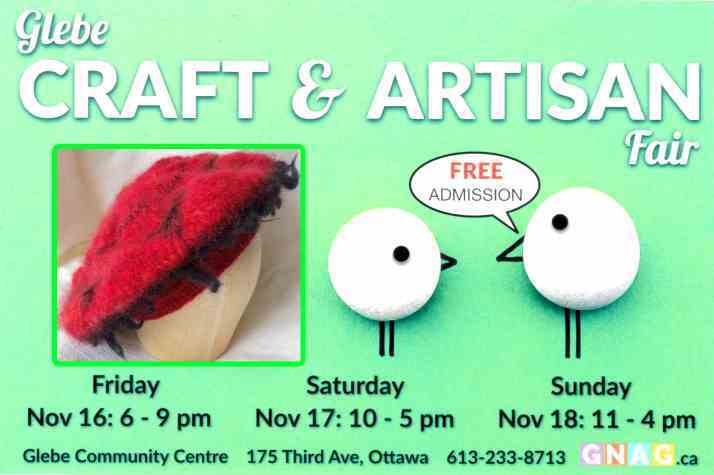 It was a last minute decision, but my wife was once again accepted as an artisan vendor, featuring her beautiful knitted hats, mittens and other things, at the Glebe Community Center’s annual Christmas Craft & Artisan Fair. She attended this fair every year for more than twenty years. I hope she will do well again this year. I also hope that the Glebe Community Center will forgive my little Photoshopping efforts here, as I decided to copy-and-paste one of Ildiko’s designs onto their card advertising the Fair. A little over two years ago, I made a decision to stick with Google-branded smartphones running unmodified versions of the Android operating system. I got fed up with brand-name phones that rarely, if ever, received even important security updates and were often hopelessly behind Google releases even when they were brand new on the market. 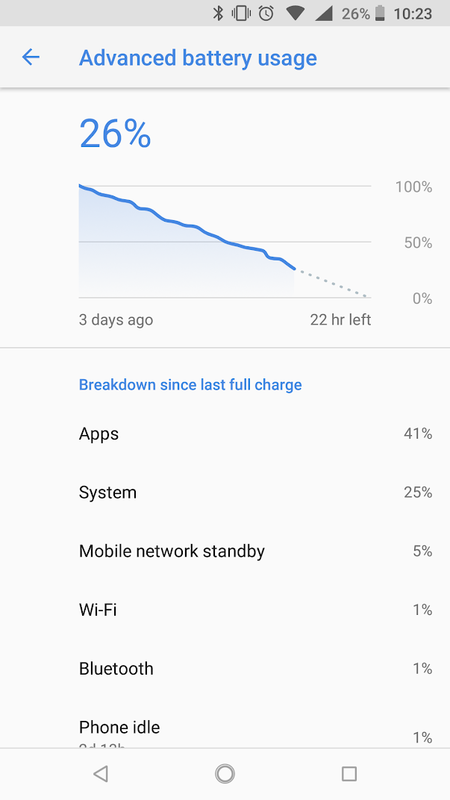 Our Nexus 6P phones served us well, but recently, first in mine then in my wife’s phone, the battery started to lose charge much too rapidly. This, apparently, is a known and common problem with these Huawei-made phones. Given that Google’s support for the Nexus 6P was coming to an end this month anyway, I decided to look for new phones. I was hoping to get another zero-dollar deal from Rogers, which is how we got those two 6P’s in the first place. What a disappointment. Sure, the Rogers Web site does show certain phones available at a deep discount, even at $0. But they are available only with certain plans. And the cheapest such plan that I could find would increase our combined phone bill by a whopping $35 (plus tax) per month. No matter how I look at it it seems like a ripoff. Thanks but no thanks. I might as well just go out and buy a pair of unlocked phones, I figured, instead of signing up for these ridiculously expensive plans. So I started looking, and soon enough my attention was focused on phones produced under Google’s Android One program. This program makes it possible for manufacturers to produce phones that run unmodified (or minimally modified) versions of Android, with the same monthly security updates and same system update schedule that Google-branded phones enjoy. And that’s when I stumbled upon the Nokia 6.1, also known as Nokia 6 (2018), a supposedly entry-level phone at the ridiculously low price of 320 Canadian dollars. Nokia, you ask? Indeed, the Nokia brand is still alive, or perhaps coming back to life is a better way to describe it. Microsoft purchased Nokia’s devices business years ago, but in 2016, it sold the Nokia-branded feature phone business back to a newly formed Finnish company founded by former Nokia folks. It is this company that has since created a range of beautiful, low-cost, entry-level smartphones. Well, the phone may be entry level, but this particular model (TA-1068) still has an octacore processor, 4 GB of RAM, 64 GB of storage, not to mention that it’s an unlocked, dual-SIM phone (or alternatively, I can have an SD card in the second SIM slot.) And it still has features like a fingerprint reader and NFC, not to mention an FM radio. Solidly built, with an elegant design, it does not feel like a cheap phone at all, quite the contrary. OK, it was a few hours less than 3 days, and spent mostly at home. But I use this phone a lot! My only worry was that after a reliable series of monthly updates (which the phone dutifully downloaded after initial setup, necessitating several reboots) there was no October security update and October came to an end. I was guessing that it was because we were waiting for the Android 9 Pie update instead. My suspicion proved correct; the phone is downloading Android 9 right now. This phone reminds me of my current travel laptop, which I purchased over three years ago I think. It was a kind of emergency purchase; my old laptop was “on the fritz”, and I did not want to spend a lot of money, so I ended up buying this lightweight ASUS laptop for just over 400 dollars. Best purchase ever! My previous laptops, always in the $2000+ price range, consistently proved disappointing. Not this one. Even three and a half years later, it remains snappy, eminently useful, capable of running even decent games on its dual core (four virtual cores) i3 CPU. It also has a touchscreen, handy at times, and something else that’s increasingly rare: plain VGA video output, which makes it much easier to use when I give a talk using older projection equipment. Once I realized how much better this laptop was compared to my expectations, I swapped out its 500 GB hard drive in favor of an SSD and that, of course, also significantly improved its performance. All in all, it does not feel “old” at all, quite the contrary, it is a decent, capable machine that is still a joy to use when I travel. Of course in the smartphone era, we rely on our laptops less and less. With the ability to check my e-mail and social media accounts on the phone, I found that sometimes I would not even turn on my laptop for days while I am traveling, especially if I am not traveling on business.